Originally, i intended to post about more of the great eats in Hong Kong, but a sudden revelation from parisbreakfasts that pierre herme has opened in London, caused me to refocus my attention. London to me feels like very much like Singapore, probably because it’s also a cosmopolitan city. However, this charming city has a major difference, that being it still retains much of its old architecture amidst all the development. Just look at the beautiful architecture! Walking along the streets of London was a breath of fresh air from all the excessive metal, glass and monochromic shades of gray in Singapore ( think the pinnacle and you will know what I mean). 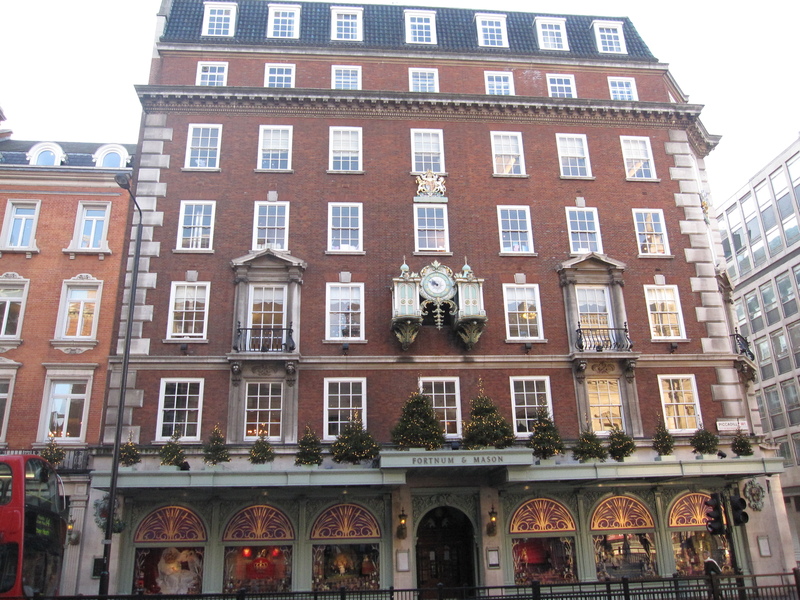 Incidentally, mum just came back from london and bought me tins of fortnum and mason cookies from this building. She confused them with my favourite chocolatier, la maison du chocolat ( I have no idea how) but thankfully the cookies were really yummy and I especially adore the stem ginger and the dates with pecan flavours. 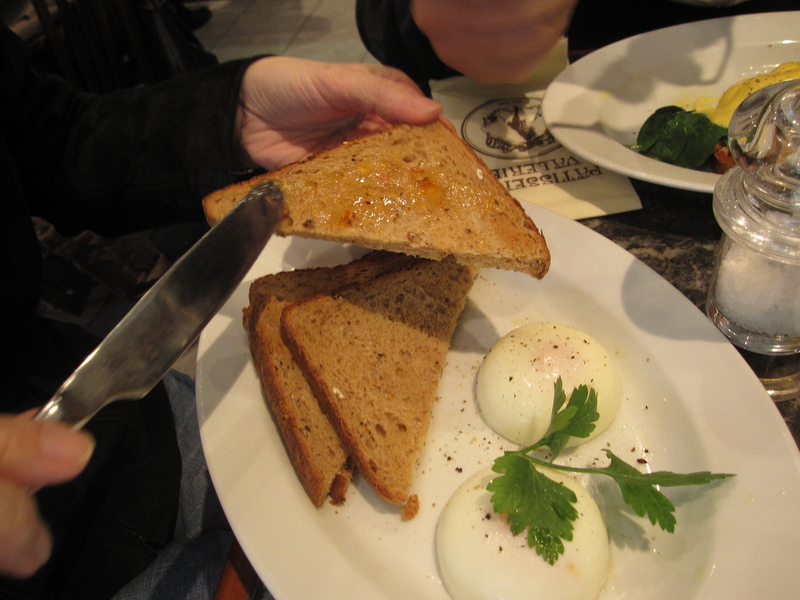 Okay, back to breakfast in London. 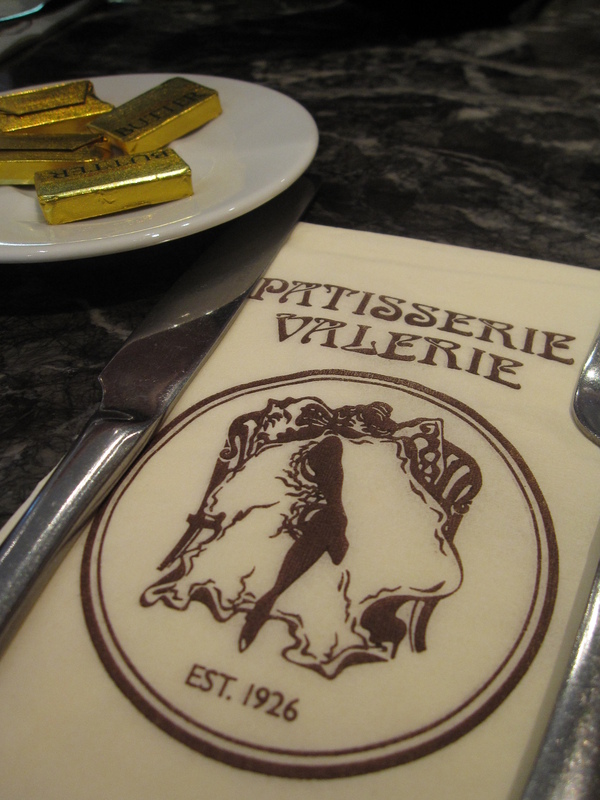 One of the days, we chanced upon Patisserie Valerie which looked really promising from the outside. Our food took awhile to arrive, not because they took a long time to cook but because the waitstaff failed to check. Their kitchen is upstairs so there is this little contraption which I call the ‘food elevator’ which transports the food down and the waitstaff have to open the ‘door’ to retrieve it. The unattentive staff failed to realize that the food was already down. Needless to say, our food did not come piping hot, but was reasonably warm. 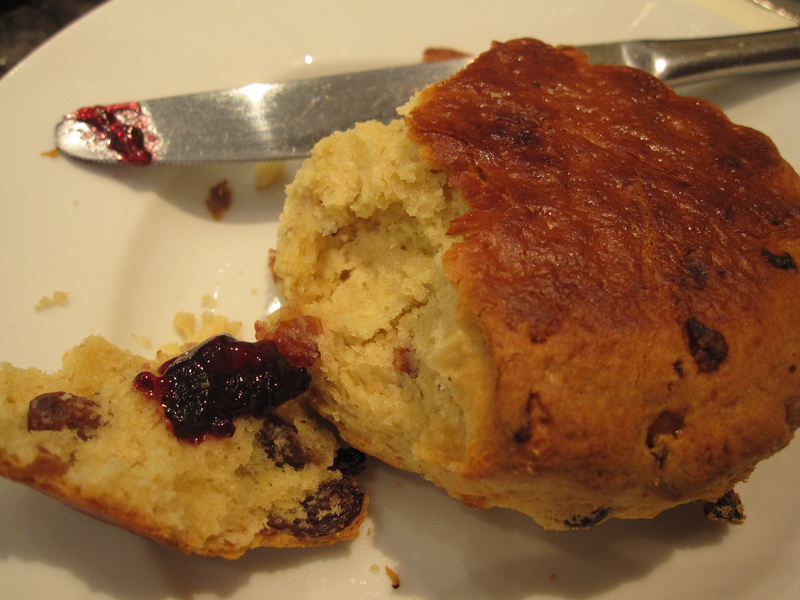 Their scones were crumbly and buttery, with raisins inside. 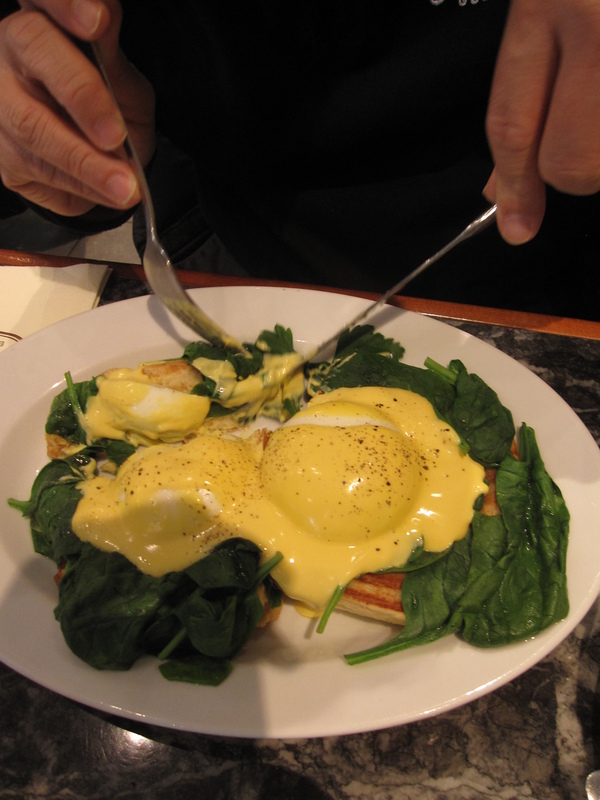 It went terribly well with the jams and honey provided from wilkin & sons ltd.
Dad prefers this eggs florentine to the eggs benedict he had previously at another place. The addition of spinach leaves helped to balance the entire dish making it less gelat. Previously when he ate eggs benedict, they used ham instead of spinach which really excerbated the heaviness of the hollandaise sauce. 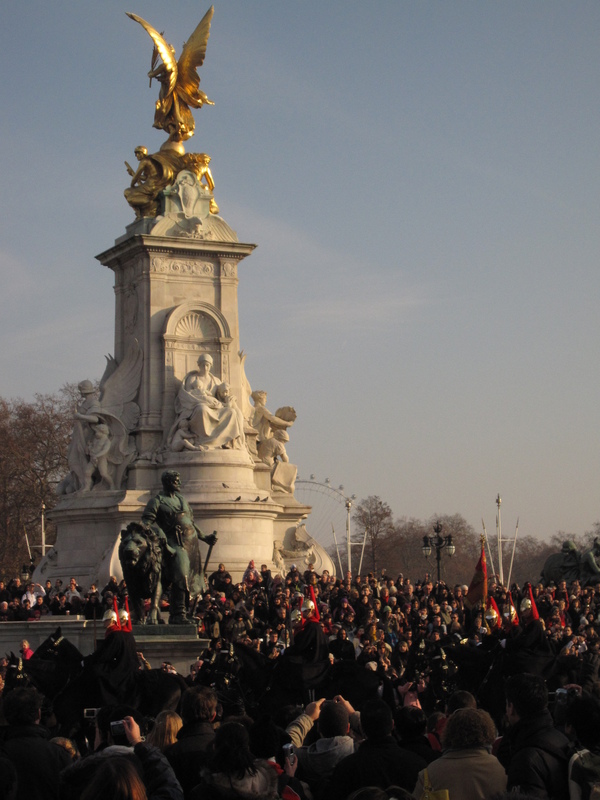 Buckingham palace is just a walk away. 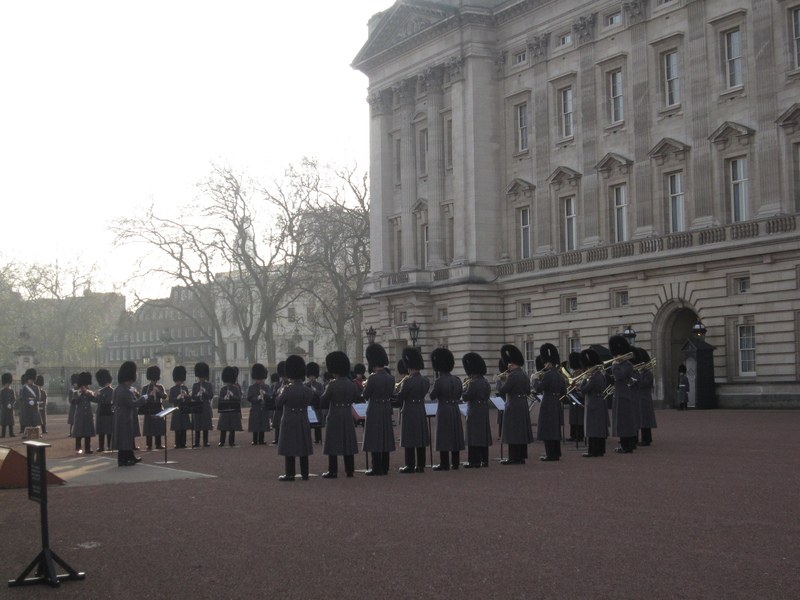 The place was crowded with people who came to watch the changing of guard. All of us had a good laugh when the military band started to spin off familiar tunes like mamma mia. 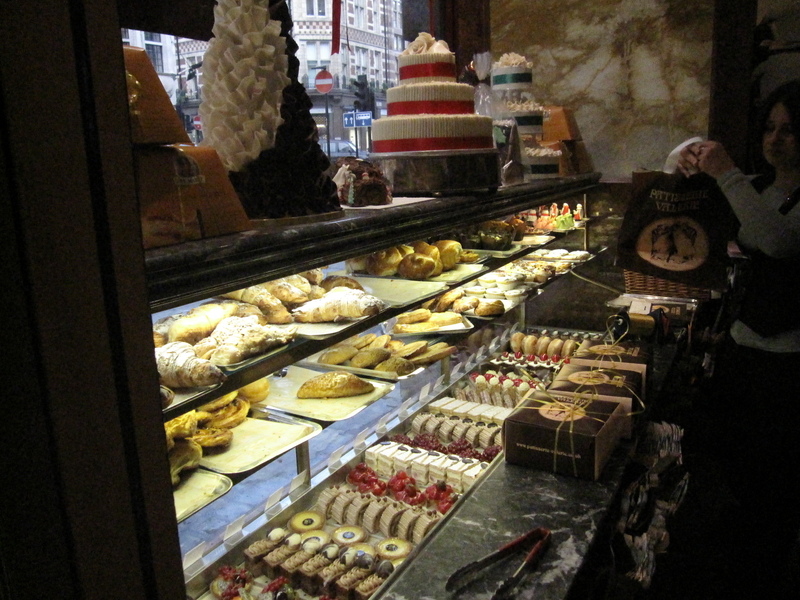 If you have never been to Europe before, London is a great place to start!